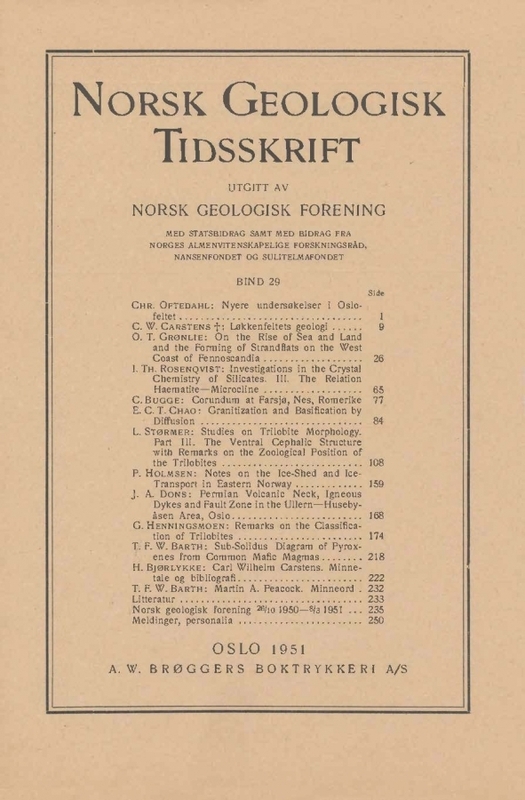 This paper is a short introduction to the essential problems connected with the ice-transported material near the former ice-shed. Observations on scattered erratics and the results of some block-calculations (not the calculations themselves) are communicated. This theme has not, however, been the main object of the field investigations. The author emphasizes the importance of classifying the observations made as to the kind of superficial deposits, viz. : Ground moraine, glacifluvial deposits, and ablation moraine. In this way it seems possible to point out not only the position of the ice-shed during the latest stage of active gladation, but even traces of an earlier period , the ice-shed having at that time had a position farther to the S than the lasrt one.